The corresponding fixture last year cooked up a run feast that petered out into a tame draw. This time around, there was an avalanche of wickets. Yorkshire proved once more to be very vulnerable in the batting department, but fortunately the hosts were even more fragile. Consequently the white rose were able to leapfrog the red rose in the Championship table. While neither team is exactly distinguishing themselves in this summer's first class cricket, there were a few notable performances in this contest which were certainly first class and merit special mention. First of all, Jordan Clark helped himself to a jaw-dropping hat trick, rendered all the more noteworthy by his trio of victims - none other than Root, Williamson, and Bairstow. Almost matching this exceptional feat, Ben Coad proceeded to take three wickets in an over, while Joe Root, of all people, reinvented himself as a demon bowler to successfully wrap up the victory on the third morning. This ultimately comfortable triumph still doesn't disguise the fact that the Tykes are still seriously inadequate at compiling many runs. This remains ominous and needs emergency surgery. 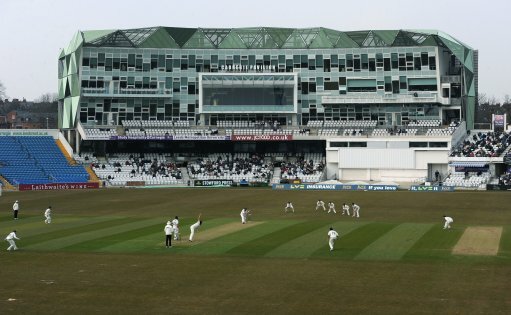 Lancashire versus YORKSHIRE; County Championship; in Manchester; Sunday the 22nd to Tuesday the 24th of July. YORKSHIRE chose to bat. YORKSHIRE won by 118 runs. Lancashire two points, YORKSHIRE nineteen points. Lyth - This was a typical Lythy display. After compiling a crucial three-hour seventy, he was caught behind off Onions for only four the second time around. Brook - Like his opening batter, Harry had one decent showing and one failure. His six runs in the first innings amounted to a fifty-five minute vigil at the crease. Root - The England captain once more flopped with the bat on his return to his county. He at least redeemed himself with his best-ever bowling figures. Williamson - A golden duck followed by a solitary run represented a pathetic return to the team. He did at least catch the dangerous Buttler in their run chase. Bairstow - JB succumbed to a hat trick ball in the first innings, but second time around he dazzled with a 67-ball knock that included eleven boundaries. Ballance - The former captain had a match to forget. He contributed a mere nine runs in each innings, lasting a combined total of forty-four balls out in the middle. Bresnan - Tim didn't hit the heights in this match. He did little with the bat, took one catch, and his sixteen overs cost 66 runs, though they did produce three wickets. Patterson - The captain put in a very good shift, hitting 67 runs, and taking five wickets, costing only seventy-two runs, from 26 overs. He also won the toss too. Brooks - Jack did well in their first innings, taking two for 24. However he then got scalped in the second innings, conceding fifty runs from eight unproductive overs. Poysden - He bowled seven second innings overs, costing 37, and taking one wicket. Our latest 'temp' recruit also weighed in with a useful unbeaten twenty runs. Coad - Ben was bowled by Clark in each innings. However he did play his part to this win by taking four wickets, costing fifty-seven runs from his twenty overs.